Another challenge for VCE History students is understanding and working with historical interpretations. As discussed elsewhere, historical perspectives are the different ideas, views and experiences of those who lived through the revolution. Historical interpretations are assumptions and conclusions about the revolution, made after the fact. These interpretations are usually formed by historians: academics and researchers who study and write history. Most historical interpretations are explanations: they tell us how and why things occurred, providing reasons, arguments and evidence. 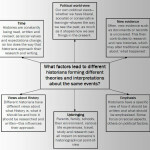 Like historical perspectives, however, there are often several interpretations of the same topic – and they may differ significantly. As an analogy, think of a significant historical event as a sporting contest, like a football match watched by thousands of people. The football match will have indisputable outcomes, such as a final scoreline, statistics, player injuries and so forth. Reaching conclusions about how and why these outcomes occurred is more problematic. Those who attended and watched the game might form their own interpretations about the result and what caused or shaped it. They may highlight or emphasise different factors, such as the performance or fitness of individual players, umpiring decisions, the weather, ground conditions, coaching tactics or other variables. Using the evidence available, the sports journalist must form interpretations in order to write his or her report. The sports fan may form his or her own interpretations, though these may be shaped by emotion and bias. Historical interpretations differ for the same reasons. Historians form conclusions about the past using different methods, emphasising different factors and making different decisions. As a consequence, their interpretations are often different. 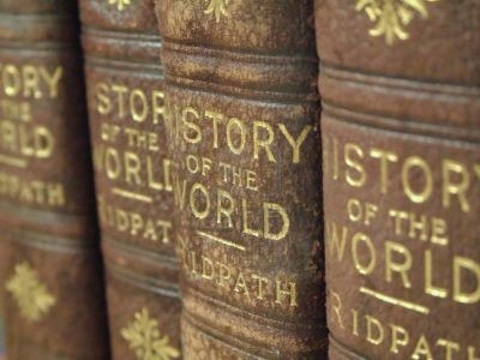 The study of historians and how and why they reach different interpretations is called historiography. This is a word you might see occasionally because it was a component of the previous VCE History course. You may still find it in some books and resources (including the Alpha History website). From 2016 you will not need a close understanding of historians, nor do you need to know their background or methods. You must still understand and evaluate their interpretations – but you should only focus on what historians say, not why they have said it. 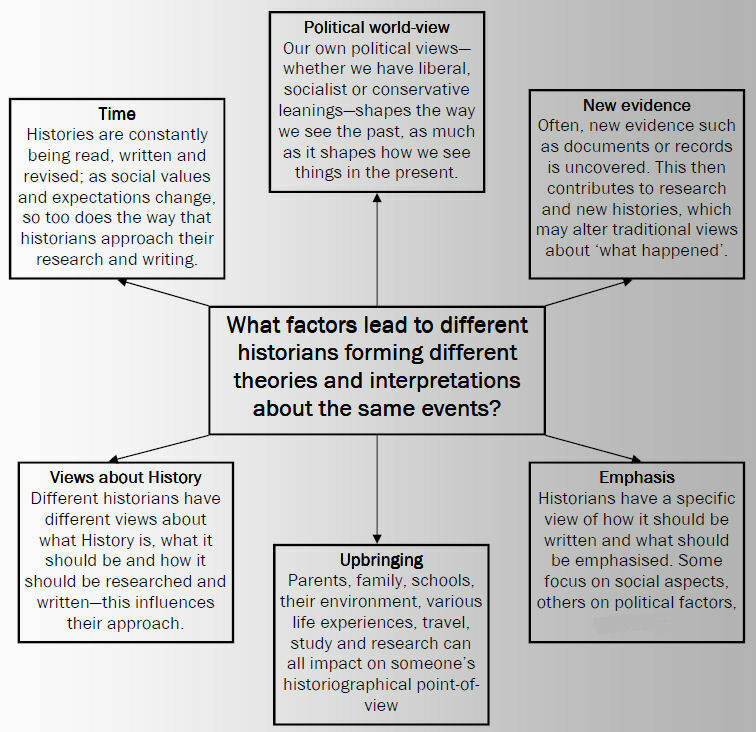 To understand and compare different historical interpretations, you should first begin to collect them. When taking notes or researching a particular topic, look for a few quotations by at least three notable historians. 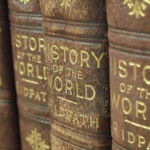 Find statements in the historian’s own words that articulate an opinion or conclusion about the topic. You might even write a short summary of the historian’s position, e.g.” Pipes considers communism a “flawed ideology; Bolsheviks inherently violent; Lenin a usurper who had little popular support”. Once you have built up a sizeable collection, you should be able to compare and evaluate how historians have interpreted the past in different ways.